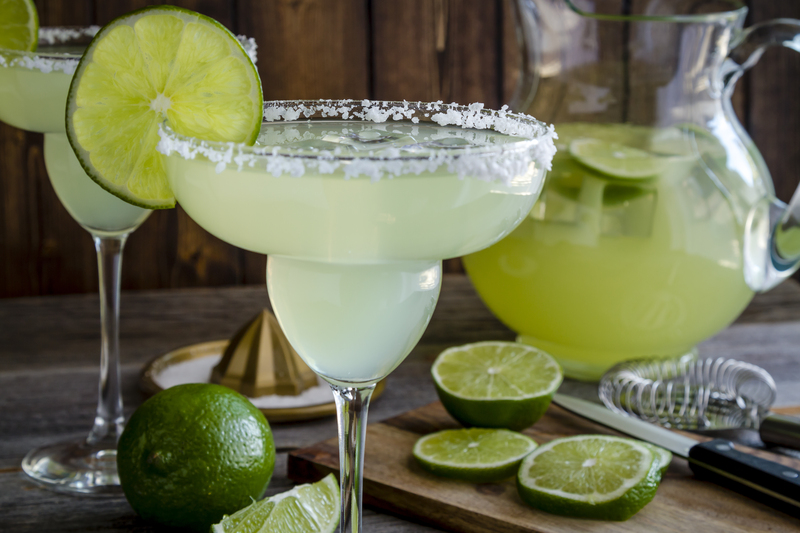 Prepare the margarita glasses by rubbing the rims with lime juice and dip into salt. In an ice shaker, combine the tequila, lime juice, triple sec, and ice, then shake well. Strain into the salted glasses with fresh ice, and add a slice lime. Recipe by: http://www.firstcyberkitchen.com/dot.htm Posted to MC-Recipe Digest V1 #697 by Rooby on Jul 29, 1997.